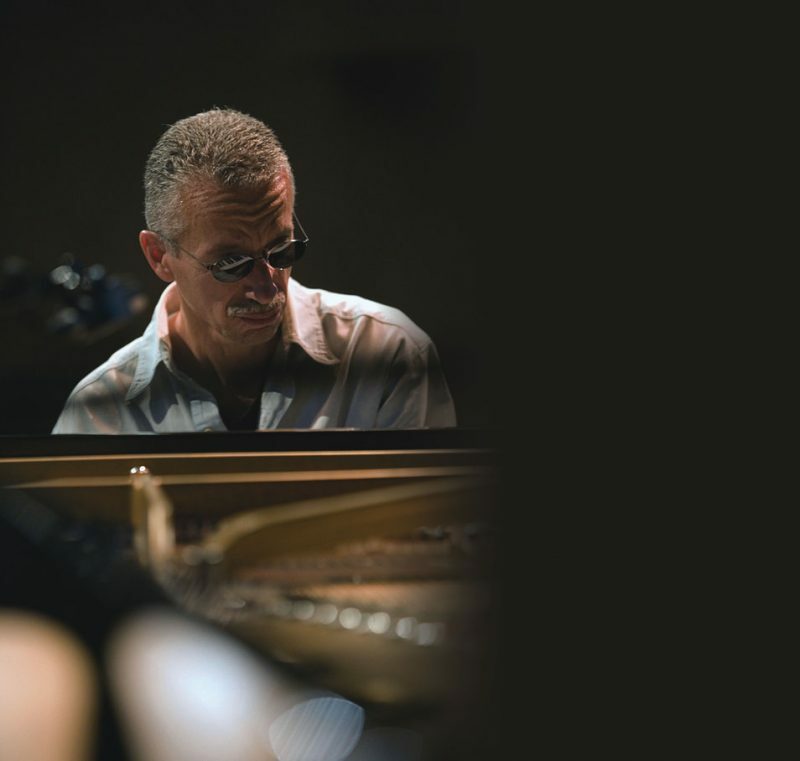 Keith Jarrett is generally recognized as one of the greatest pianists and improvisers of his time. He represents the apex of human possibilities for an artist, where intellect, virtuosity and spirit combine to constitute genius. 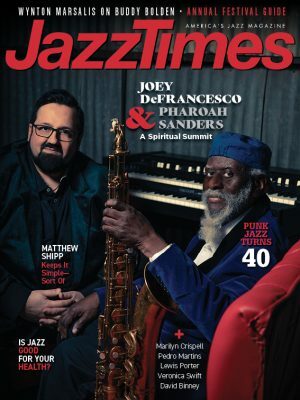 For many years now Jarrett has focused on his trio with drummer Jack DeJohnette and bassist Gary Peacock. Lost, perhaps, is his prolific composing, which went hand in hand with the beauty of his playing. Many of my picks deal with Jarrett’s early period because they have much to do with his compositions. Likewise, although his most famous solo recording, The Köln Concert, and all subsequent solo recordings, are much better known to the public, for me his first solo recording, Facing You, reigns supreme. Its innovative approach to composition and musical development was shocking at the time. Jarrett radiated as much warmth, heart and beauty in his playing as he did virtuosity and intellect. Jarrett’s playing represents new and innovative levels of harmonic, rhythmic and melodic development bundled with the vastest creativity imaginable. It was a new standard of playing in its time and still is today. That’s how far-reaching his abilities are. A very young Jarrett, playing with Art Blakey on a very fast version of “Secret Love,” revolutionizes blowing on standards in the space of a four-bar break. Throughout Jarrett’s solo he plays something so rhythmically diverse, so ahead of its time, it sent my colleagues and I on a new path to fulfill the desire to play very free in form. On this and many other examples like it, Jarrett starts with the premise of impeccable bebop as a launching point. As he progressively stretches, the track evolves into a wild yet supremely disciplined blow on the changes. Again, the blend of unbridled nature with the highest development of musical elements is the hallmark. All most of us can do is practice and aspire to it. There are so many things in this piece, starting with Jarrett’s interactive left hand and subtle right-hand accompaniment. The harmonies are unquestioningly new; all the beautiful complexities of the head release into a hybrid boogie-woogie or barrelhouse style. In a period when jazz was hipper and unsentimental, Jarrett reintroduced early American elements that are taken for granted today-sort of inventing the country/gospel-style harmony employed by many contemporary artists. Similarly, in the ’60s and ’70s, the style of linear playing over chord changes tended to be more rhythmic than melodic and generally based on pentatonic scales. Jarrett reintroduced an element of ornamentation that had not been heard since the music of Liszt and Chopin. Jarrett makes harmony that is very complex, simultaneously making it feel warm and very tonal. He brought the left hand back in a way not heard much since Art Tatum. What was even more amazing is that he did this without any nod to Tatum at all. This is a Joni Mitchell tune. What’s notable is how similar her harmonic and melodic sense was to one corner of Jarrett’s world. Jarrett’s music comprised so many facets, and among them were the sensibilities of a folk musician. Generally speaking, when a jazz musician approaches pure chords (as can be found in folk music), the re-harmonization can diminish the resonance of the original song. 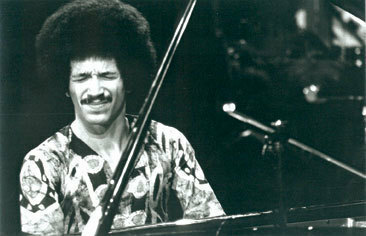 Not so with Keith Jarrett. The album features Charlie Haden and Paul Motian. Here, although he wrote this song, Jarrett displays the same lyricism and harmony as Mitchell. He goes through many delightfully improbable transpositions and still manages to make it seem like a country folksong. The album is an early indication that Jarrett would create the juxtaposition of the most melodic and harmonically pleasing music and the most adventurous free improvisations, often in the same tune! On this record the quartet with Dewey Redman, Charlie Haden and Paul Motian is augmented by Airto Moreira on percussion, Sam Brown on guitar and a string section. This piece starts with one of Jarrett’s’s country/gospel-type motifs but then gives way to an orgiastic series of chords by the string section that he blows over. This track is an explosion of light. The band of Redman, Haden, Motian and percussionist Guilherme Franco was my favorite throughout much of the ’70s. They play rhythm and sounds for a full six minutes before going into the most heartachingly beautiful ballad, “Death and the Flower.” They then move into a raw groove in which Redman re-interprets the changes. As with much of Jarrett’s composition and style of playing, it captured my heart in a way that no one else could. The melody to “The Windup” is one of many Ornette Coleman-inspired heads written and performed in Jarrett’s own incredibly high-charged manner. His tunes of this type are interesting because they’re not so much an overt homage (which he may or may not have intended) as an attraction to a type of tonality that he and Ornette share. In his hands these melodies have a decidedly funky and country/gospel-like quality. “Blossom” is more than a ballad; it is a cry of the heart. Only Jarrett could go so far into the heart region, and his soloing extends that expression to the point of tears. The essentially sweet tune doesn’t preclude the band from improvising in the most sophisticated way.